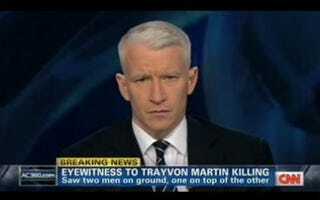 On his show Thursday night, Anderson Cooper spoke to an anonymous witness to Trayvon Martin's shooting, asking, "Can you tell me what you saw and what you heard the night Trayvon Martin was killed?" The witness describes seeing "scuffling" and heard a "painful" scream and says that, from his or her perspective, George Zimmerman seemed unharmed after the shooting. Listen to the experts analyze the significance of this new account on AC360.